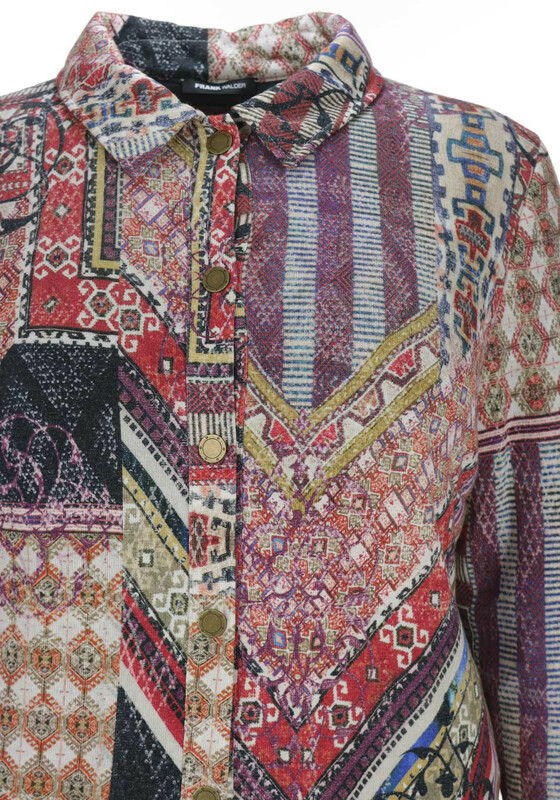 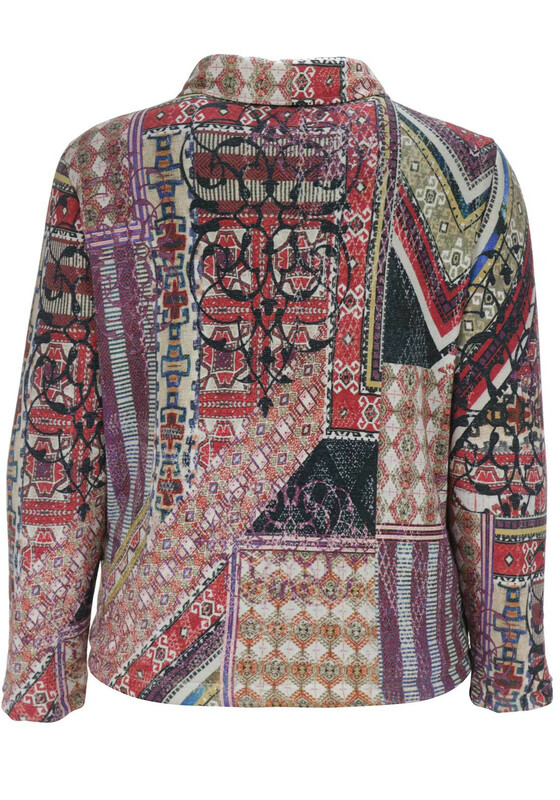 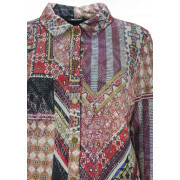 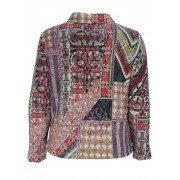 A colourful update for your outerwear collection, this jacket would look lovely worn with jeans and a plain top. 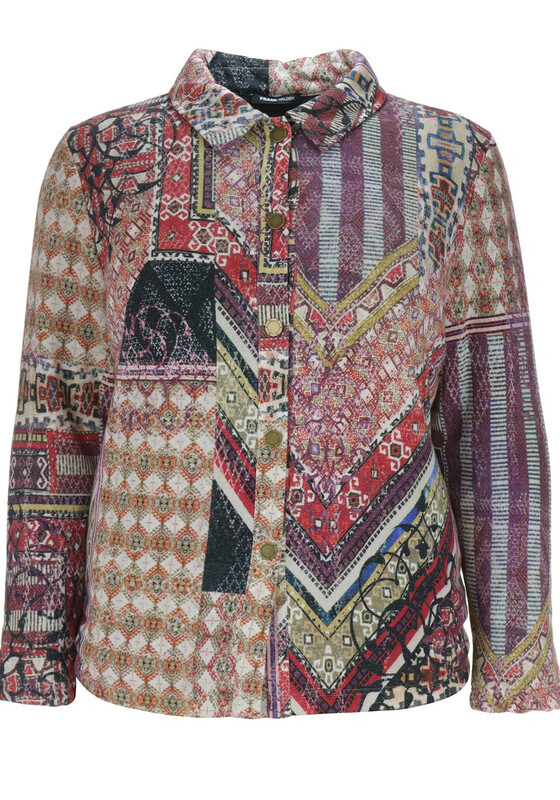 Made from fully lined heavy jersey fabric with multiple prints and pattern throughout. 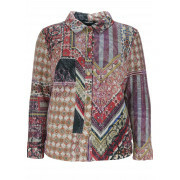 Styled with a slightly relaxed straight shape and featuring a turn down collar and button fastenings.